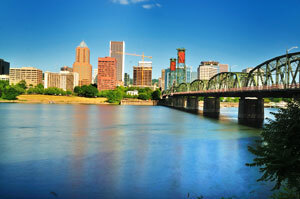 Portland is home to over 60,000 people and is known as the “Portland of the East”. There are many effective advertising opportunities throughout the city due in part to the many tourist attractions such as the Arts District. This district, along with attractions like Casco Bay and East End Beach, allows you to utilize out-of-home advertisements to target locals and tourists alike. Target your audience with outdoor billboards on near Maine College of Art or the University of New England. Billboards on I-95 or I-295 would generate high traffic exposure of your business as well.